Colt Ford, Jewel, & Justin Moore on Waylon Tribute? This is not a spoof. I repeat, this is not a spoof or a fake news story. Wow. My little country music heart was sent reeling this morning when I rolled up to the track list and list of contributors for the new Waylon The Music Inside, Vol. 2 compilation due out January 24th. The thing read like my lampoon of the unfinished Hank Williams songs, but unfortunately it is all too real folks. Included in the list of contributors is the country music Grimmace, the genre-bending country rapper Colt Ford, Justin Moore, a man I could make a serious case as being the worst country music “artist” ever, Josh Thompson, who I once took to task for name-dropping Waylon, the 4th Rascal Flatt, Texas’s King of Hair Highlights, the effeminate Pat Green, along with the dumb duo Montgomery Gentry, and Jewel. And I’m telling you, Jewel might be the best pick of the lot. I had mixed feelings about the first volume of these tributes, but this is clearly a helpless cry for relevancy. I know the old philosophy is to try to bring in people who would not be traditional Waylon fans through other artists and covert them through his music, but the closest Colt Ford and Justin Moore fans will ever get to Waylon is snorting crushed Loritab off the back of one of his CD cases. I am honestly just in shock right now. I don’t know if I should laugh or cry. Really what this track list means is that we still have a lot of work to do folks. A lot. Waymore’s Blues Hank Williams, Jr.
More like The Only daddy that will walk the KFC Buffet Line. There are some good artists and will probably be some good tracks on this album. Yes, a lot of it looks like puke, but we should be careful painting everyone on this thing with a broad brush. Good point. Okay since I’m a fan of tribute albums I’ll give my opinion track by track because as a whole I got to agree with you it dosn’t look good. I haven’t made up my mind about DB yet but I don’t think this is the song for him. Waymore”™s Blues ”“ Hank Williams, Jr.
Once again I don’t think this is the song for him but he’s covered every other Waylon song so why not. Personally I like MG. I think this might be a good song for them. I know nothing about him except he’s a fack outlaw. I don’t have much hope for this one. As you said this could be the best song on the album. I’m not a fan of her’s but her voice ain’t bad. 2012 must truly be the end of times. Jack Ingram is also on THIS ONE’S FOR HIM: A TRIBUTE TO GUY CLARK, so he’s good in my book. THAT is an AMAZING tribute album. Almost moved me to tears the day I got it, you can feel the love behind this project so much. Sure, there’re a couple of tracks I am not too fond of, but there are 30 songs total, so that’s a good ratio I guess. Guy and Townes are my favorite songwriters ever, and Waylon my favorite singer of all times, but I will definitely skip this Waylon tribute. Yes, seen many folks come to the defense of Jack, and there’s a few other decent folks on this and we shouldn’t lose sight of that fact. This saddens me. Anything with Colt Ford or Josh Thompsons name attached I refuse to buy. It’s a damn shame because the first one was decent. Other than Dierks, Jess, and Hank… I can do without this album. Oh and Jack Ingram is right up there with Pat Green and Kevin Fowler for me. Sell outs. To be honest, I know next to nothing about Jack Ingram (virtually all of these “country” singers of questionable integrity are total unknowns here in Europe). I remember there once was a discussion whether this guy is for real or not (either here on SCM or on A Truer Sound, can’t remember), but his contribution to the Guy Clark tribute is all right. Folks, I’m hearing from some sources that the Waylon estate may be a little disgruntled over this as well. As soon as I have all the info together I will post it here, but let’s not knee jerk and blame this all on Jessi or Shooter. i may have spoke too soon, does this have Shooter involved or have his blessing? I clinch my fists and rush back to work screaming! Sorry to play devil’s advocate ….. but maybe it WILL turn some folks who listen to those ‘douchecanoes’ (thanks Weber!) onto Waylon?!? Okay probably not. Bentley can’t sing and its even worse when he tries to go down into bari range which I’m sure he’ll try to croak out for this one. At least if you’re going to enlist people who make standard Nashville music get ones that can sing like Chris Young or Josh Turner. And please please explain to me how Pat Green can be considered Joe Don 2.0 but Ingram is legit Texas country. Sorry but covering Hinder is every bit as Tapout t-shirt, jacked up t-ruck, douche country as Brantley Gilbert ever thought of being. Why would any Waylon fan want to hear a song he recorded sang by someone else? Like you said this is for fans of those artists. The hope must be that they will be introduced to some great music, but i also don’t see that happening. Anyone who digs the new rock/country modern sound isn’t going to put on lonesome on’ry and mean and get into it……. These songs are all classics and don’t deserve this treatment from these clowns (oh and besides jessi they are all jokes), but i understand what they are trying to do. Hope it turns a few people onto Waylon. Re: Colt Ford and Montgomery Gentry…. This album is being released by Average Joes. Colt and Montgomery Gentry are Average Joes’ artists. Hence, their inclusion on this album. Open your eyes….hell have no furey like a woman scorned I guess. – He sings good music. Pops it up a bit, but clearly a Waylon fan if you listen to his works and not radio singles. – SCM hates Jr. but he certainly is worthy to be on this. – perfect song for them. They are more country than the punk country and hipsters on SCM. 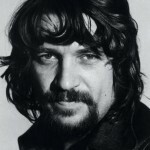 They also played the last show with Waylon and the Waylors ever did, so Waylon would approve. – Still on the fence with Moore. – Don’t like Green, but he is a TX boy and is a Waylon fan. Worthy. – she is more country and knows her music than anyone on here. She deserves this and will do it very well. How about celebrate this project as it pays tribute to THE MAN, and is endorsed by his family. I hate Jr.? I think that is a dramatic oversimplification of my opinions. Whether he does a good job or not, Hank Jr. is one of the few that deserve to be on this list. Do you know this is endorsed by Waylon’s family? I’m hearing something different. we have a sayin: hank jr just one williams away from good music, either direction. i wanna clarify that some. i like Hank Jr., the guy and his character, he just has never done anything that really thought was “great”. i could believe these guys doing waylon: jonathan tyler, slaid cleaves, scott h biram, carolyn wonderland, lincoln durham, gary clark jr., dirty river boys, powder mill, javi garcia, gurf morlix, sam baker, james mcmurtry. Gotta wonder if that’s really Ray Wylie. But the post made me think: Trigger, you ever check out Slaid Cleave? Hell of a damn songwriter, and about as far from southern (geographically speaking. we’re all Southern at heart) as CMT is from country. I’m a big fan. Oh, it’s Ray. Like all great artists, he’s a regular reader of SCM :). Plus if you follow Ray on Twitter (which everybody should), there’s no mistaking his style. Powder Mill is good! “Worth” is a great tune. Ray Wylie could do some Waylon as well. I’m sick with rage. Awful…just…AWFUL! Merle Haggard is still performing having released an album last year. The industry hasn’t mentioned it. Maybe when he’s gone, all these pop stars will try to turn their fans on to his music. That’s what they’re trying to do with Waylon isn’t it? How many more volumes of this crap is there going to be? I think there’s at least one more. Great.Looking forward to Kid Rock,Aaron Lewis and The Band Perry on the next volume! But as for Jewel – I am really not a fan of her voice/sound, so I’m pretty disappointed such a beautiful song is being done by her. Should have given it to Jamey Johnson! He did a amazing cover on his “That Lonesome Song” album! Just a beautiful, haunting (in a GOOD way!) version! waitin for next drifters album. Eh Kyle you may have gone too far with that snorting loritab comment. I know I’m the minority here when it comes to a lot of the feelings about Nashville country music, but let’s be reasonable ( and if possible civil)please. Justin Moore I can argue the goods/ bads back and forth on. I wouldnt say he is the worst EVER. Colt Ford : ill tell you straight up I like some hip hop and don’t mind what Ford is doing. Nothing wrong in my view with it being mixed in with country. As long as it’s done right. Does that mean you will see Everlast and Yelawolf “Go Country”? Not no, But Hell No! Josh Thompson : I’m “Coming Around” to liking his music ( oh no is that a reference to his new single?!) . While he’s better with stuff like Beer On The Table and Church Pew or Bar Stool, or A Man Don’t have To Die etc and while Blame It On Waylon and Way Out Here may not be the best songs in the world. It’s kinda wrong to put him in the stereotypical Blue Collar/Midwest box. Rural America is Rural America. Go back and read that Whitey Morgan interview from this site not too long ago about that. As far as the rest go I don’t see the reason to hate/criticize. Dierks, Montgomery Gentry , Jack Ingram , Pat Green, and others seem pretty legit. Not all Mainstream Nashville “Pop Country” is bad and a lot of people on here need to understand that thought. Ryan, this article was a reaction. This is truly how I felt in the immediate moments after seeing the lineup of this album. I did that on purpose, to capture my passion, and from the comments I have seen here and many other places, I think my disgust is pretty representative of many peoples. One of the jobs of Saving Country Music is to attempt to give a voice to the folks who feel like their culture and values are being trampled. Having said that, since posting this, I’ve made a very concerted effort to make a point that folks shouldn’t paint the whole project with a negative brush. There are some good artists here, and I am sure there will be some good songs. Though I have not spent enough time myself with any of his new material, folks whose opinions I respect have been saying that Josh Thompson has been growing a lot, and if that’s the case, I am very glad and look forward to giving him a second chance. But I stand behind my Justin Moore comment, and will elaborate in the coming days. I totally agree, and believe it or not, this unfortunate stereotype is something I worked to destroy throughout 2011, reviewing more mainstream albums than I ever have, and giving positive reviews to folks like Eric Church and The Pistol Annies. I have also gotten reams of criticisms from many of my readers for coming around on Taylor Swift, NOT that I’m a fan, but I have found a great amount of respect for her. My reaction to this lineup was not because these artists are mainstream, and I’ll even take it a step further to say that the folks who actually thought that Hellbound Glory and Whitey Morgan were going to show up on these things were setting themselves up for a letdown. But I’m telling you, this lineup crossed a line. Trace Adkins was on the first one, but there wasn’t nearly this reaction, because the lineup was representative of ALL of country music. This lineup really has something everyone can hate. Mark my words, up to the release date of this thing, there’s going to be a lot of negative backlash, and not just from underground types. Remember, Chet Flippo came out against Justin Moore. Colt Ford is bad too, but can be laughed off. Justin is where they crossed the line. Thinking about singers/bands who could do this justice. I admit, I didn’t listen to country music as much as I listen to rock, since all I’ve heard from today’s mainstream country are craptastic (I’m more into the alt. country, i.e: The Civil Wars, Emmylou Harris, & Alison Krauss). But after I read your blog for a while, I decided to give a listen to your recommended albums here. And all of a sudden, I started to have a soft spot for country. Bought few country albums in vinyl, I was very surprised that I did it. And I loved them, almost impossible for me to think about it cause of how much I used to loathe on mainstream country. So, I want to thank you for introducing me to the great, real, country music. With that being said, I have a mixed feeling with this Waylon tribute. Some of the folks are good, but I died a little inside when I found Colt Ford on that list. I’m not opposed to the concept of the tribute-cd. It can be fun, it can be interesting, as long as the artists paying the tribute have made a name for themselves, original songwriters who maybe have been influenced in some way by the artist they pay tribute to. It also depends on who is taking the initiative for the tribute. If one particular artists can inspire other artists to take one song of the tributed artist and make it his own, something really good could be the result. I would be interested in a honest tribute to Waylon Jennings, but looking at this line-up, this looks more like a lame attempt to get some country-credibility, exploiting the name and work of one hell of a great songwriter. Well like the Hank Sr. tribute, where hank3 wasn’t involved, i don’t see shooter on this list. I see a Direct Correlation. Most of these artist, not all, belong on a Monkey’s Tribute Album. Pat Green and the other rappers. Maybe Pat will bring AC/DC with him. A loser! Out of everyone in the mainstream that could have conceivably made sense for this…. how is Jamey Johnson not on here? Although I wouldn’t call Johnson mainstream, sure he got some radio play… but. He was on the first one and has done covers on his own. My guess is his involvment in the first one was not music politics, but more smart move to ask him and a true respectful gesture on his part. Was introduced this weekend to Eric Lee Beddingfield. He has one of the best Waylon “tribute” songs I’ve heard. I put it in the category of DAC’s “The Ride” tribute to Hank. I don’t have a link, but check out his album “This Life Ain’t For Everybody” and the song “More Than One Year At a Time” Excellent work!